Kubernetes is the hottest container orchestrator and we’ve seen an influx of Codefresh users asking for better tooling to help them get up and running. 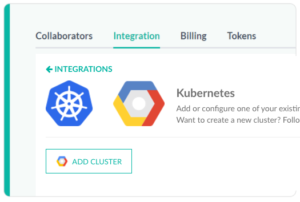 We teamed up with Google Cloud to build an integration to make getting your app deployed on Kubernetes easier than ever before. Google Container Engine makes it easy to create and maintain a cluster while Codefresh makes it easy to get your code deployed there (and to automate the process). Google was even nice enough to come through with up to $500 in Google Cloud Credits when you get started with Codefresh! 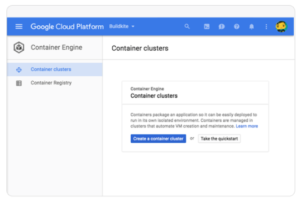 From Google Cloud Console, Navigate to Container Engine and click ‘Create a container cluster’. Login to Codefresh (it’s free), go to Admin->Integrations and login with Google. 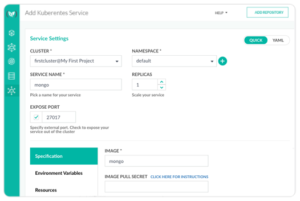 Once you’ve added a cluster, it’s available in automated pipelines and manual image deployments. Set ports, replicas, expose services, or just let the defaults be your guide. Want to learn more? Google Container Engine Product Manager, William Denniss, will join Full-Stack Developer, Dan Garfield of Codefresh to show how development velocity speeds up when connected to a Kubernetes-native pipeline. Register here for the August 30th webinar. Want to get started deploying to Kubernetes? 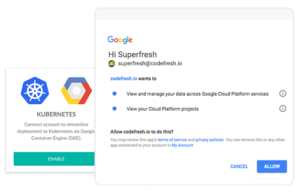 Codefresh is offering 120 builds per month for free and upto $500 in Google Cloud Platform credits for new accounts. Try it out.